This biscuit recipe is a great addition to your repertoire. 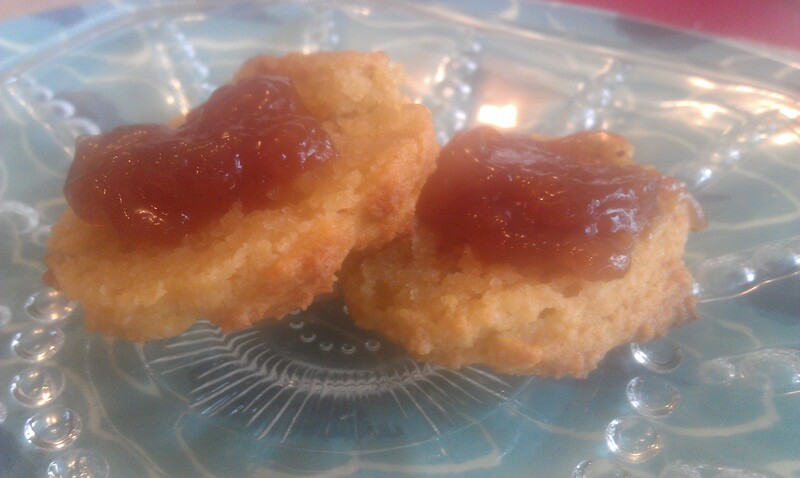 The biscuits are great with butter and jam! Or just jam! They can be sliced in half and made into sausage sandwiches or used for biscuits and gravy! Crumble them up, top with your milk of choice and some lightly sweetened sliced strawberries, and you’ve got strawberry shortcake! I’ve served these when I host coffee for the homeschooling moms and at holidays in place of rolls. They are easy enough that my daughters made them for me for Mother’s Day one year, placing them daintily on a lovely plate with the jam in an adorable glass bowl. My sister requested the recipe yesterday and this is an easy way to share it, not only with her, but with you! Use a tablespoon to drop about 12-15 rounded mounds onto Silpat or parchment paper lined baking sheet. They don’t really expand out much so you can place them fairly close together without worry. If you make them too large, they don’t get done in the middle. Bake until lightly browned or until a toothpick inserted into the center of a biscuit comes out clean. Depending on how your oven bakes and biscuit size, this could take anywhere from 12-20 minutes. Do not overbrown. Watch closely. Allow to cool before attempting to slice. Variation for savory biscuits: Add 1/4 cup of diced onion and a teaspoonful of garlic powder. This entry was posted in Dairy-Free, GAPS, Gluten-Free, Paleo, Primal, Recipes, SCD, Whole30 and tagged almond flour, biscuits on April 3, 2014 by thehomeschoolingdoctor.